While innovation has been a driving force in the company’s growth for more than a century, Kellogg's intra-office and employee communications system was stuck somewhere in the '80s. 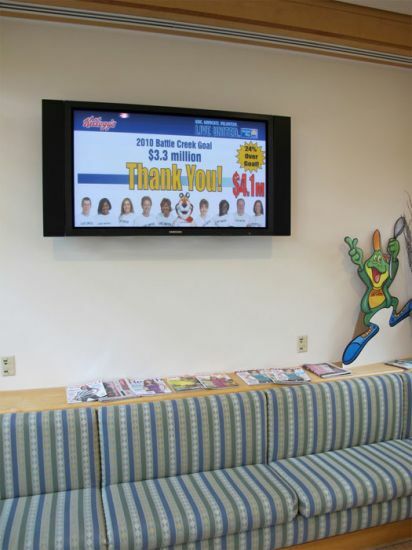 Recognizing the importance of timely, uniform corporate communications throughout the enterprise, Kellogg’s updated its employee communications system with an enterprise-wide digital signage solution. Each Kellogg office streams corporate messaging mixed in with news, weather and stock prices provided by a customized SignChannel "channel"